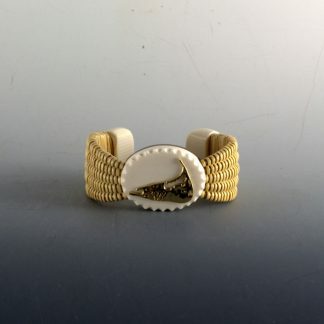 This bracelet has reverse scrimshaw! 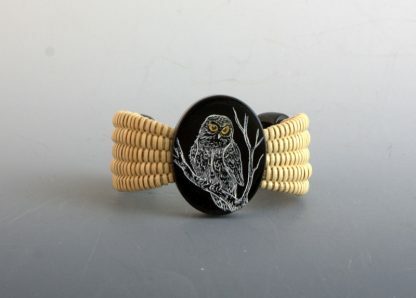 Dorothy used the black casein and scrimshawed a beautiful snowy owl on it. 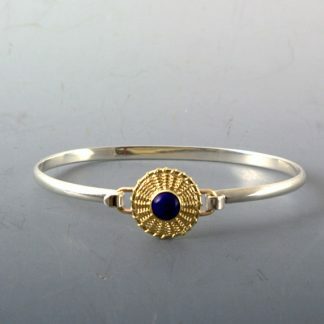 The bracelets are all made with oak staves and Michael’s tight weave. 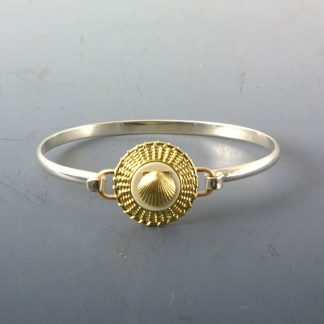 This bracelet is 5 Staves and is made for an approximate wrist size of 5 7/8″. To measure your wrist you need to measure all the way around without any slack. 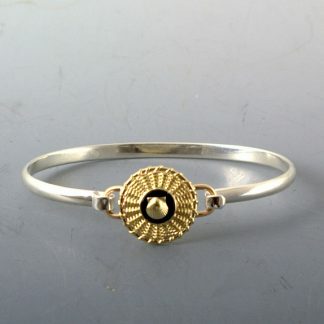 This bracelet is very popular because it is narrow.